New Zealand’s police commissioner, Mike Bush, on Tuesday formally released the first five names of victims in last week’s attacks on two mosques in Christchurch. The Friday attacks took the lives of 50 worshippers and left dozens more wounded when a man believed to be a white supremacist opened fire and live streamed the shootings. Bush said 21 victims have been identified overall. Hati Mohemmed Daoud Nabi of New Zealand, 71 years old. Mohsen Mohammed Al Harbi of New Zealand, 63. Kamel Moh’d KamalKamelDarwish of Jordan, 38. Junaid Ismail of New Zealand, 36. Mucaad Ibrahim of New Zealand, 3. All five victims died at the Masjid Al-Noor mosque, Bush said. Several victims have also been identified by family members. Police formally identified Nabi as a victim Wednesday morning local time. His father, Mohammed Elyan, a Jordanian in his 60s who co-founded one of the mosques in 1993, was among those wounded, said Muath Elyan, who said he spoke to Mohammed’s wife after the shooting. An Iraqi who was born in Abu Dhabi was killed in the attack. His mother wrote on social media that Hussein al-Umari was killed. His family and friends had been seeking information on al-Umari, in his mid-30s, who had failed to return after going to Friday prayers at the Al-Noor mosque. Farhaj Ahsan, a software engineer, moved to New Zealand six years ago from the city of Hyderabad in India, where his parents still live, according to the Mumbai Mirror. “We received the disturbing news,” Ahsan’s father, Mohammed Sayeeduddin, told the newspaper Saturday. 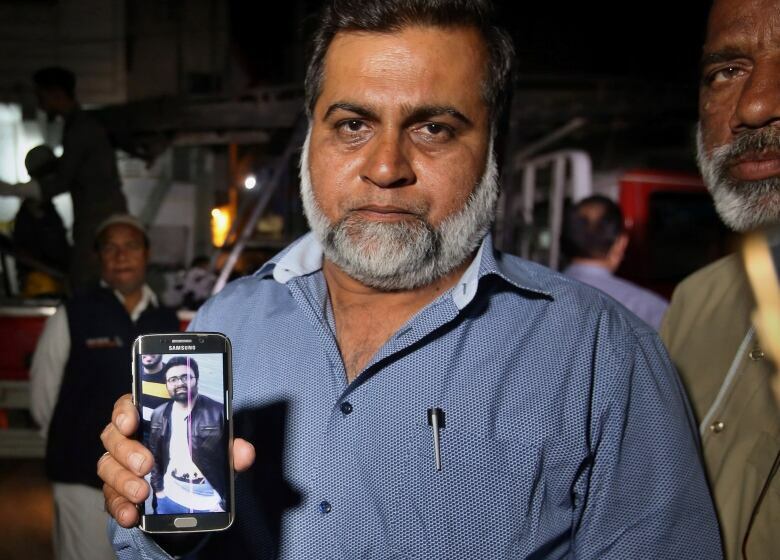 Friends and family had been trying to reach Ahsan since the attack. Ahsan was married and had a three-year-old daughter and infant son. Ali Elmadani and his wife immigrated from the United Arab Emirates in 1998. 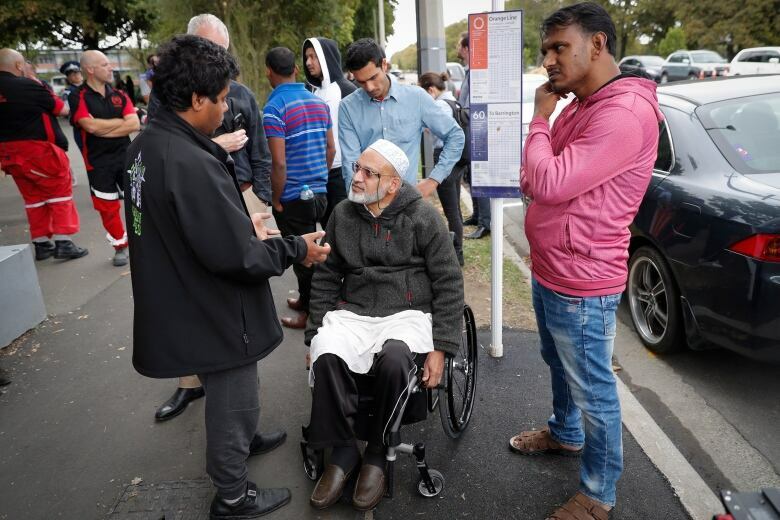 The retired Christchurch engineer always told his children to be strong and patient, so that’s what they are trying to do after the tragedy, his daughter Maha Elmadani told Stuff. Mucad Ibrahim was lost in the melee when the firing started at the Al-Noor mosque as his older brother Abdi fled for his life and his father pretended to be dead after being shot. Police formally identified Mucad as a victim on Wednesday. Milne was described as a good-natured, kind teenager. The high school student was at the Al-Noor mosque for Friday prayers when the attack started, his half-sister, Brydie Henry, told the Stuff media outlet. Sayyad was last seen “lying on the floor of the bloody mosque, bleeding from his lower body,” she said, repeating what her father had told her. Sayyad’s mother, Noraini, was also in the mosque and managed to escape, Henry said. The teenager has two other siblings, 15-year-old twins Shuayb and Cahaya. “They’re all at home just waiting. They’re just waiting and they don’t know what to do,” Henry told the news site. A handwritten cardboard sign outside Mohammad Imran Khan’s restaurant, the Indian Grill in Christchurch, on Sunday said simply “Closed.” A handful of pink flowers lay nearby. The owner of the convenience store next door, JB’s Discounter, Jaiman Patel, 31, said he helped the staff with the keys after the terrorist attack that claimed Khan’s life. “He’s a really good guy. I tried to help him out with the setup and everything,” Patel said. “We also put the key out for them when the terrorists come, and sorted it out for him.” Khan had a son who was 10 or 11, Patel said. Lilik Abdul Hamid, a longtime aircraft maintenance engineer at Air New Zealand, was killed in the Al-Noor mosque, his employer said in a statement. “Lilik has been a valued part of our engineering team in Christchurch for 16 years, but he first got to know the team even earlier when he worked with our aircraft engineers in a previous role overseas,” Air New Zealand CEO Christopher Luxon said. 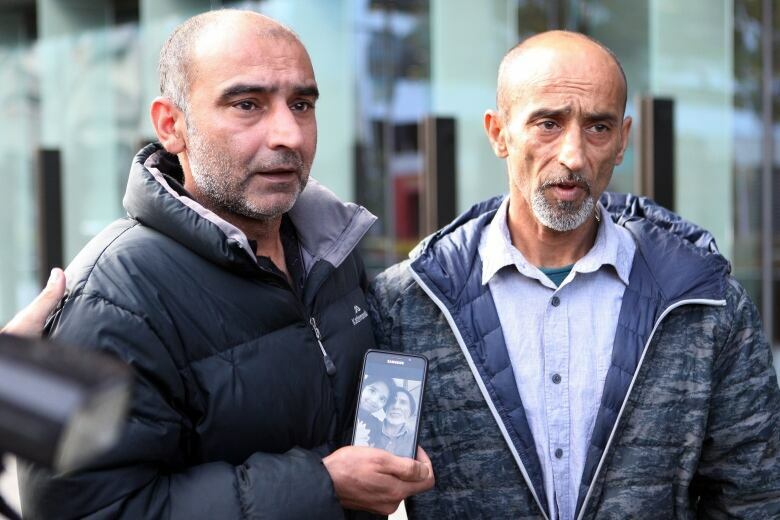 Hamid was married and had two children, Luxon said. “Lilik, his wife, Nina, and their children Zhania and Gerin are well known and loved by our close-knit team of engineers and their families, who are now doing all they can to support the family alongside our leadership team and the airline’s special assistance team,” he said. 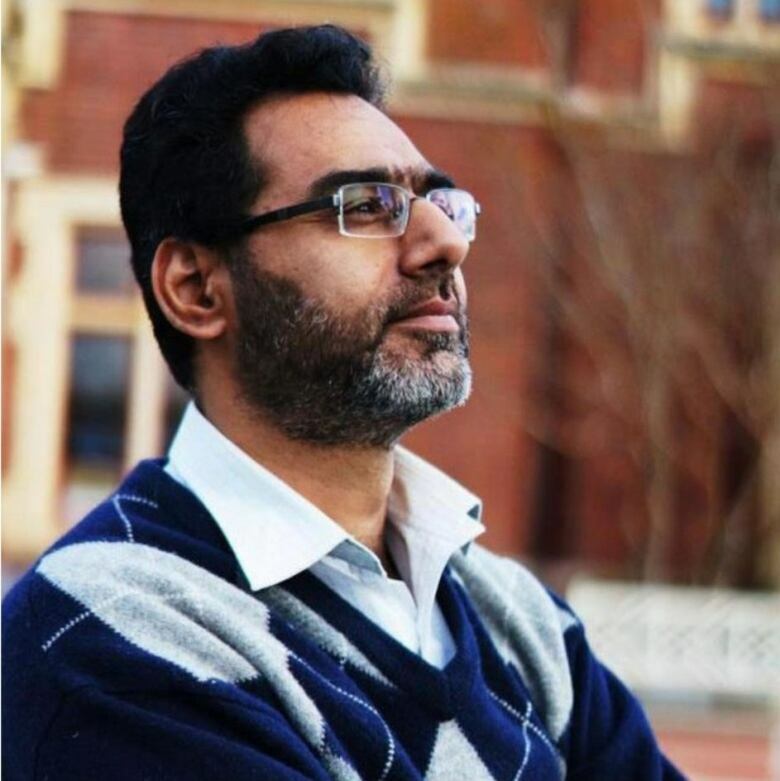 His family and friends had been seeking information on al-Umari, in his mid-30s, who had failed to return after going to Friday prayers at the Al-Noor mosque in Christchurch. The assailant “would go out and bring more ammunition and resume shooting,” said Nasasrah, speaking by phone from a Christchurch hospital where he was recovering from two shots to the leg. Nasasrah had attended Friday prayers at the Al-Noor Mosque with his friend, Abdel Fattah Qasim, 60, who was killed in the shooting. Both were originally from the West Bank — Nasasrah from the town of Beit Furik and Qasim from the town of Arabeh. Nasir and his son were just 200 metres from the Al-Noor mosque on Friday when everything went wrong. They had no idea that a white supremacist had just slaughtered at least 41 people inside the mosque. A car that had been driving by suddenly stopped, and a man leaned out the window pointing a gun at them. The gunman drove away. A pool of blood poured from Nasir’s body. Nasir, who lived in Pakistan, had been regularly visiting his son in New Zealand.